Tumor differentiation factor (TDF) is an under-investigated protein produced by the pituitary with no definitive function. TDF is secreted into the bloodstream and targets the breast and prostate, suggesting that it has an endocrine function. Initially, TDF was indirectly discovered based on the differentiation effect of alkaline pituitary extracts of the mammosomatotropic tumor MtTWlO on MTW9/PI rat mammary tumor cells. Years later, the cDNA clone responsible for this differentiation activity was isolated from a human pituitary cDNA library using expression cloning. The cDNA encoded a 108-amino-acid polypeptide that had differentiation activity on MCF7 breast cancer cells and on DU145 prostate cancer cells in vitro and in vivo. Recently, our group focused on identification of the TDF receptor (TDF-R). 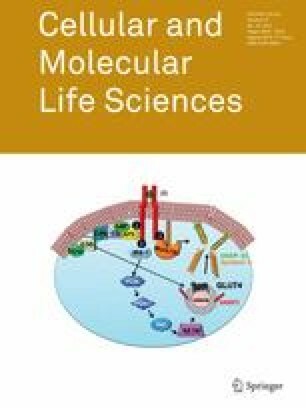 As potential TDF-R candidates, we identified the members of the Heat Shock 70-kDa family of proteins (HSP70) in both MCF7 and BT-549 human breast cancer cells (HBCC) and PC3, DU145, and LNCaP human prostate cancer cells (HPCC), but not in HeLa cells, NG108 neuroblastoma, or HDF-a and BLK CL.4 cells fibroblasts or fibroblast-like cells. Here we review the current advances on TDF, with particular focus on the structural investigation of its receptor and on its functional effects on breast and prostate cells. We would like to thank Dr. Linda Hendershot (St. Jude Children’s Research Hospital, Memphis, TN) for providing the GRP78 clone and for anti-GRP78 antibodies. We would also like to thank Ms. Laura Mulderig and her colleagues (Waters Corporation) for their generous support in setting up the Proteomics Center at Clarkson University. CCD thanks Drs. Thomas A. Neubert (New York University), Belinda Willard (Cleveland Clinic), and Gregory Wolber and David Mclaughin (Eastman Kodak Company) for donation of a TofSpec2E MALDI-MS (each). The authors also thank Jill Pflugheber (St. Lawrence University, Canton, NY) for her advice and support with confocal microscopy and Drs. Mircea Ivan (IUPUI) and Erasmus Schneider (Wadsworth Center) for providing various cell lines. This work was supported in part by Clarkson University (start-up grant to CCD), the Keep a Breast Foundation (KEABF-375-35054), private donations (Ms. Mary Stewart Joyce) and by the U.S. Army research office through the Defense University Research Instrumentation Program (DURIP grant #W911NF-11-1-0304).